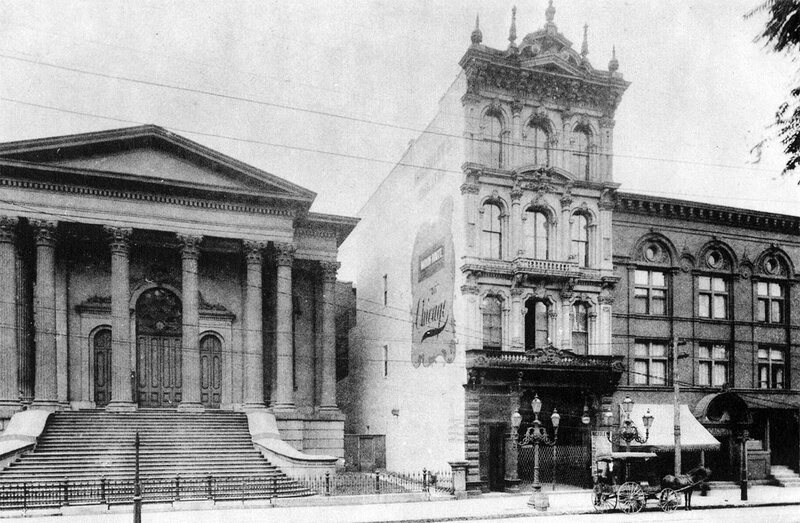 Old Walnut Street's grand 1870s theater welcomed top drama stars to Louisville. After the Civil War, mass entertainment such as American vaudeville became more popular since audiences had more money and more time in which to spend it. 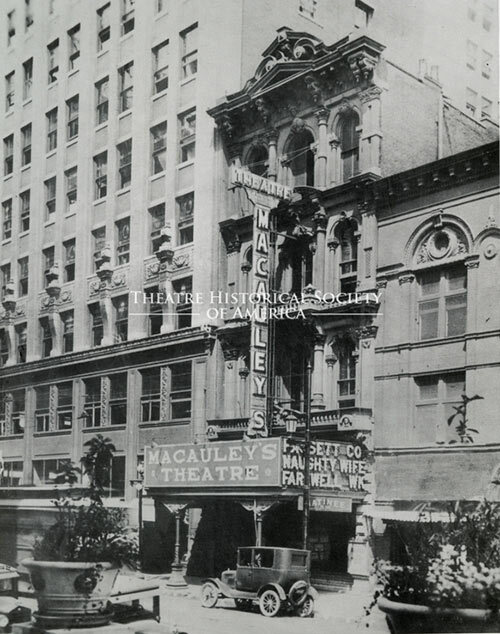 Louisville was growing as a trade center in the 1870s, and once Macauley’s opened, drama gained in prominence as well. 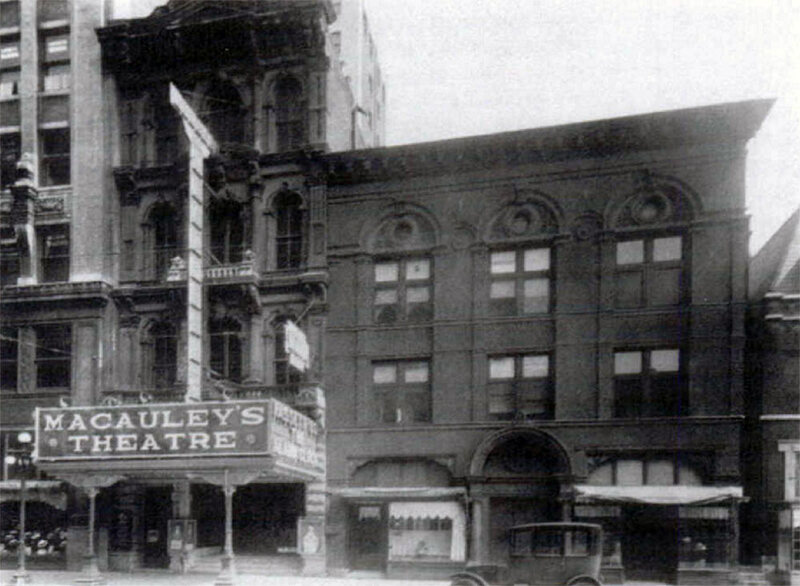 Actor Bernard “Barney” Macauley decided to build the 1,900-seat theater after settling in Louisville, but it was his brother, “Colonel” John T. Macauley, who operated it successfully for many decades after taking over management in 1880. Barney made a series of poor business decisions, got the theater into debt, and eventually decided to return to the stage for a handful of years before his death. John worked with other theaters to keep actors touring in established circuits and many of the finest actors and actresses of the day graced the stage, including the debut of Louisville native Mary Anderson in 1875. When John died of cancer in 1915, his obituary in the New York Times stated: “every prominent stage star has appeared” at Macauley’s. [It] incorporated many features that came to characterize the firm’s work. Its preference for extremely ornamental facades with stone and wrought iron, combined with ornate interiors, was reflected in the Louisville theater, as was its tendency to use paneling and red or green with gilt or ivory interiors. The firm is thought to have designed three hundred theaters in the United States and Canada; the Cinema Treasures website lists 42 known theatres built by McElfatrick, but only 6 are known to remain open. One of the most impressive is the Colonial in Pittsfield, Massachusetts, similar to Macauley’s in its grand scale. In February 1924, a small mention in Billboard stated that Macauley’s had been sold to John and Isaac Starks, local capitalists. 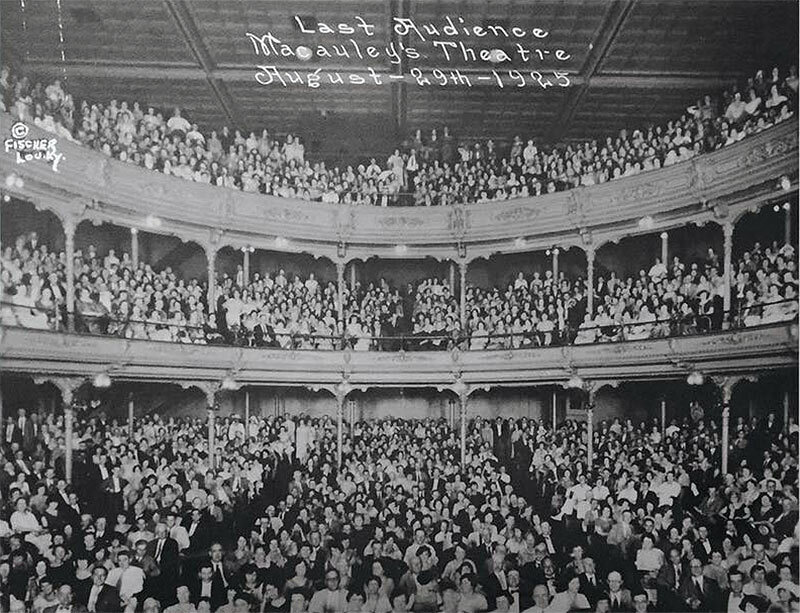 While it commented that the oldest theater in the city would “continue under the same policy, playing road shows and stock attractions,” Macauley’s was suddenly on borrowed time. 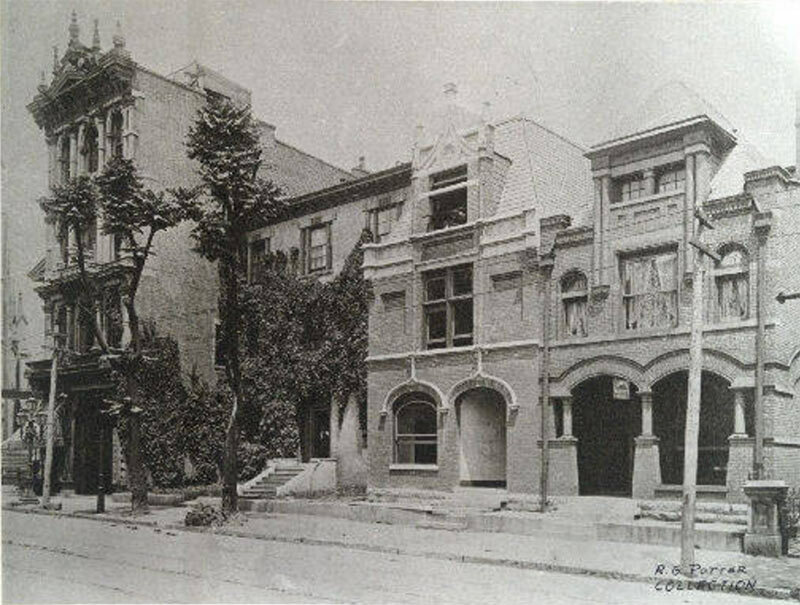 Its last show was “The Naughty Wife” on August 29, 1925, and demolition began immediately to clear the block for the Starks building expansion. By December, Macauley’s was gone. 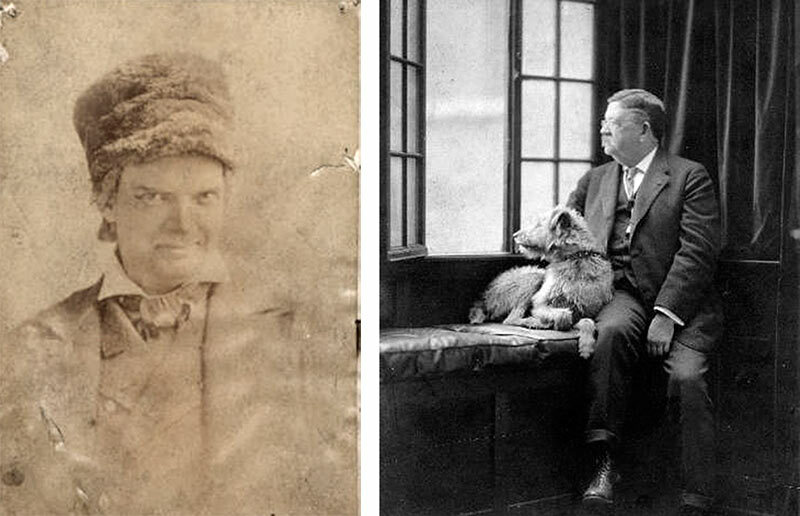 It was announced shortly after the theater was razed that Colonel John T. Macauley’s theatrical photograph collection – “probably the finest and largest individual collection in the world”, according to Billboard – would be presented to the University of Louisville. 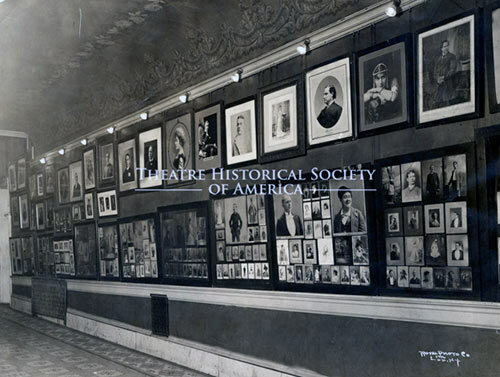 Many of these images of early actors, actresses, and performances can be viewed online here, with their legacies continued in public memory. Very interesting that something as grand as the Starks Building was being constructed in 1925, only having a very short period of peak use before downtown emptied out. It gives me hope that the razing of the suburbs is just around the corner.